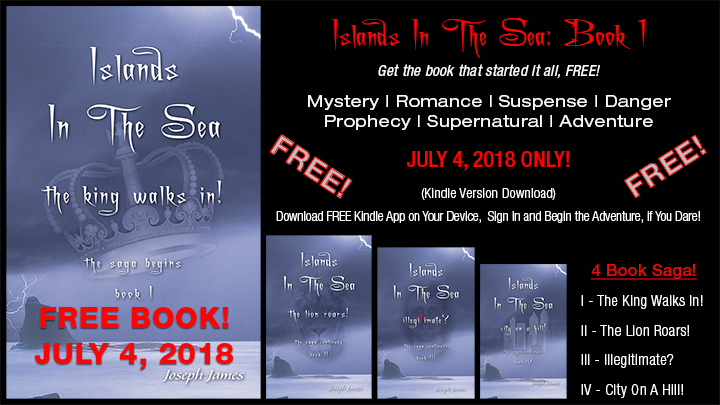 Islands In The Sea Book 1 – Free For 5 Days! 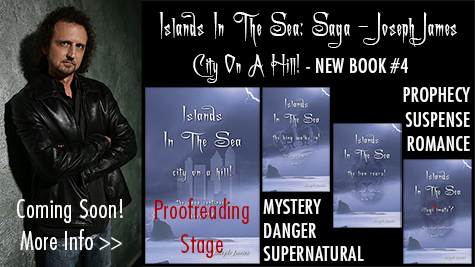 FREE BOOK! 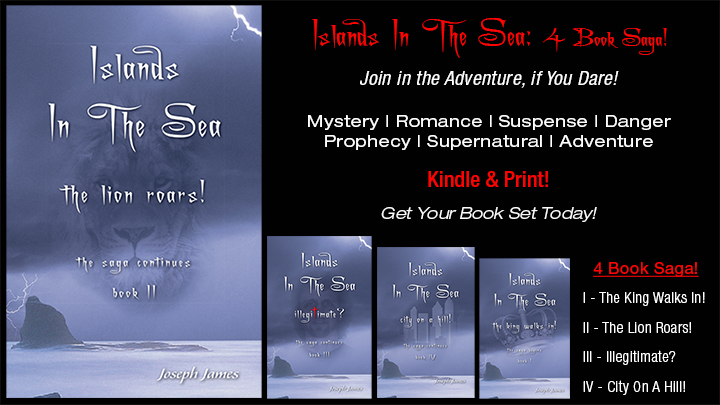 Starting tomorrow, Book 1 of my new trilogy, ISLANDS IN THE SEA!, is available for FREE for 5 DAYS ONLY on Kindle. 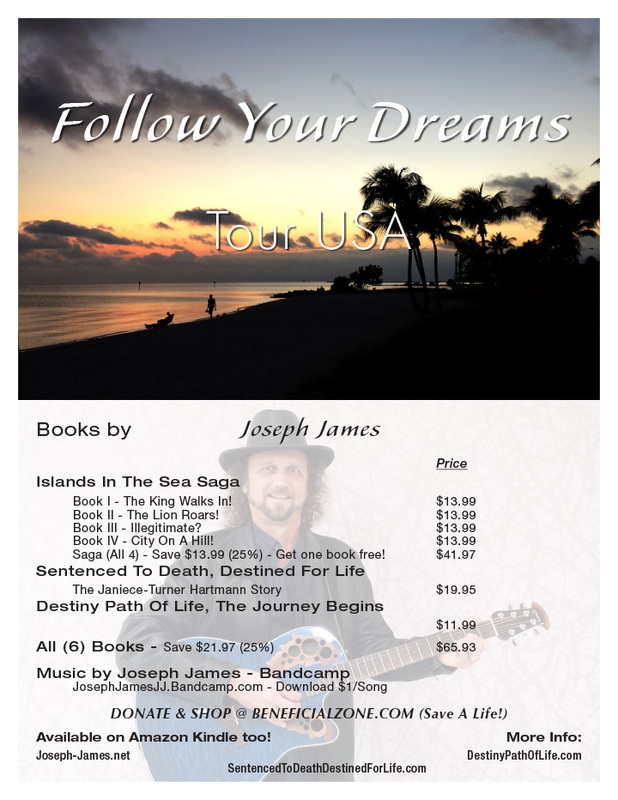 You can download the Kindle app to your devices, phones, tablets, computers for free if you don’t have a Kindle. I wanted to give everyone a heads up, because I tried to set it for two weeks, but Amazon only allows 5 days free. 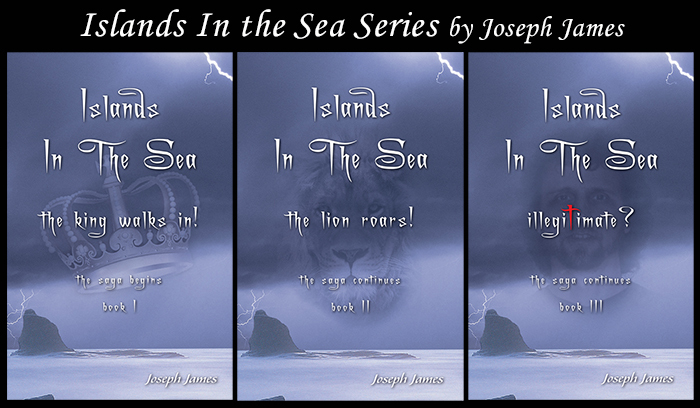 Please share and pass this link on to anyone you know who would like to read it and/or the series.